When chocolate flows in your veins, you can fight the urge to spend your life making sweets, but, if you’re anything like Chef Michael, co-founder of Chuao (pronounced CHEW-WOW) Chocolatier, you won’t be able to hold out for long. 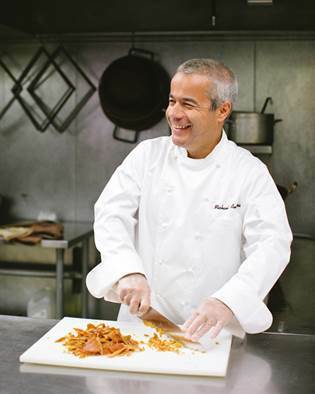 Lucky for all of us, Chef Michael, named Top Ten Chocolatier in North America by Dessert Professional Magazine, followed his passion. Join us as we get to know the man behind the chocolate bars that are the ultimate response to every consumer’s cravings. A typical day for me starts with an early morning meditation session, some exercise, and breakfast before I drive my daughter to school. From there, I head to work. I love getting to our beautiful building and greeting everyone who has already arrived. My work day begins with email triage. I sort out what requires an immediate response while I let my brain mull over new chocolate combinations and other snacking ideas. Then I look out over the production floor where our amazing chocolate making team works on the equipment, molds, and chocolate mixes. My schedule always includes meetings that keep everyone updated on the progress of our many projects. We meet to discuss everything from sales to product development, from social media and digital marketing to internal culture, as well as other administrative issues. Tuesdays and Thursdays are a little different. Those are the days I get to experience a flow yoga class with the team members who have the time to attend. After, I enjoy re-engaging in my usual activities with a stretched and relaxed body! My first exposure to cooking came at my mother’s side, watching her bake and cook when I was a child. I left home at 16 to go study biomedical engineering at the University of California at San Diego. On my own for the first time, I used my mother’s favorite recipes to feed myself…and many of my friends! After graduating, I went home to continue my studies. I filled my weekends with amateur cooking classes. The more I explored the world of food, the more my curiosity grew. Even as I pursued a business degree, I longed to cook. So, finally, when I was in my mid-30s, my wife and two daughters came with me as I followed my passion for food all the way to culinary school in Paris. 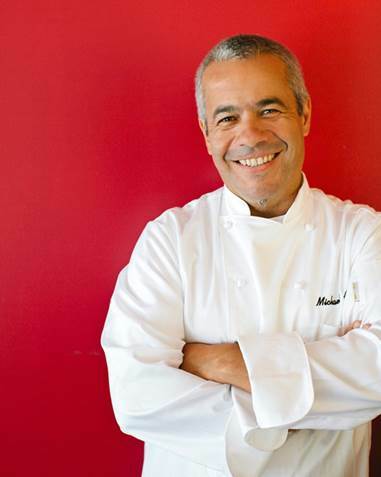 I first trained as a French Chef at the École Supérieure de Cuisine Française Ferrandi before undergoing specialized training in Pastry and Chocolate at the École LeNôtre. 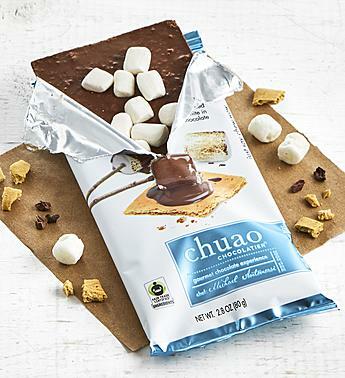 My culinary training fueled my desire to share joy with the world through delicious chocolate experiences so my brother, Richard, and I founded Chuao Chocolatier in 2002. Our ancestors owned a small Venezuelan farm known for its fine cacao and we were determined to craft chocolates that would do our heritage proud. 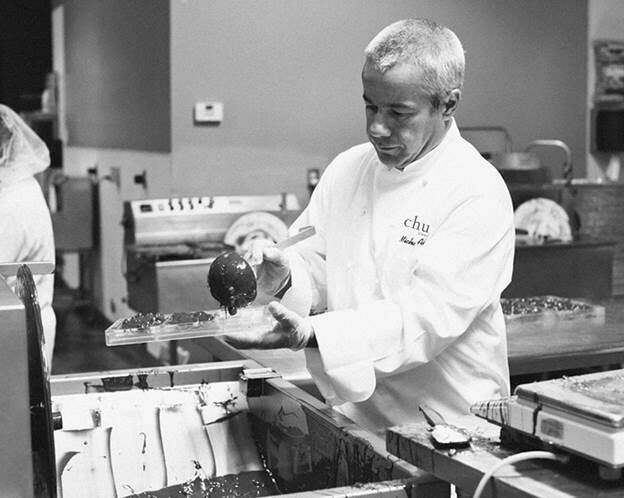 What I like the most about working with chocolate is the ability to bring joy to people and the many opportunities for innovation, something that is core to everything we do at Chuao Chocolatier. As an Entrepreneur, it’s easy to get overly focused on your own creations and forget to listen to your customers. It takes two to tango. You need the customer to appreciate your creations. It took us 9 years to understand this, and to understand what we mean to our consumers. We’ve reached a place where we can surprise our consumers with new flavor combinations, all while delivering the quality and experience they expect. Creative flavor combinations are at the heart of Chuao Chocolatier’s decadent chocolate experience. Before I start the process of coming up with a new flavor, I spend a lot of time thinking through possible options. I always want to make sure new flavors are going to be successful. I find inspiration in the different occasions where I can bring joy to people, in places I visit, or in my surroundings. A good example of this is one of our latest innovations, Chuao Chocolatier’s Organic Moon Bark collection. There is something so mysterious and wonderful about the moon, it was obvious to me that I should draw inspiration from it. In creating the Moon Bark collection, I aimed to share a piece of the moon as I know it. Our California Collective is another good example of how I find inspiration. Salty ocean breezes, sun-kissed beaches and creative ‘Cali’ vibes sparked the flame to come up with five delicious California Collective flavors that really captured the California spirit. 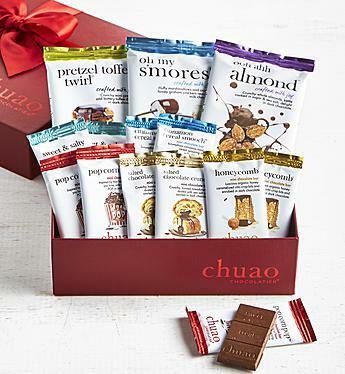 We like to think outside the chocolate box, so all the Chuao flavors are extravagant. Our goal is to combine innovation and creativity to deliver chocolates with delicately balanced layers of flavors and textures. I thrive on the challenge of making flavor combinations work. My favorite flavor combinations are the unexpected ones. Combinations that no one really thinks about, such as our Spicy Maya, which combines cinnamon, velvety dark chocolate, and an infusion of cayenne and pasilla chile. Or the Potato Chip with its creamy milk chocolate, a sprinkle of sea salt and that irresistible potato chip crunch. 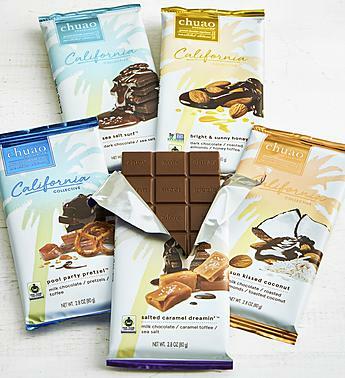 Our customers can find Chuao chocolates in more and more stores around the country, but even as we grow, we remember what’s important. We pay attention to detail, for example, hand crushing potato chips so that each bite of our Potato Chip bar has a satisfying crunch. Our Venezuelan heritage instilled in us a respect for cacao and the people who grow it. We only partner with purveyors who share our interest in sustainable farming and ethical business practices and source a proprietary blend of Fair Trade Certified™ cacao. It’s all part of delivering a product that we are incredibly proud of. As I always like to say, if it’s not WOW, it’s not CHEW-WOW.